Spring is here — the Vernal equinox, its official start date, was on Saturday, March 20, and with it comes warmer weather and early-season crops like asparagus. 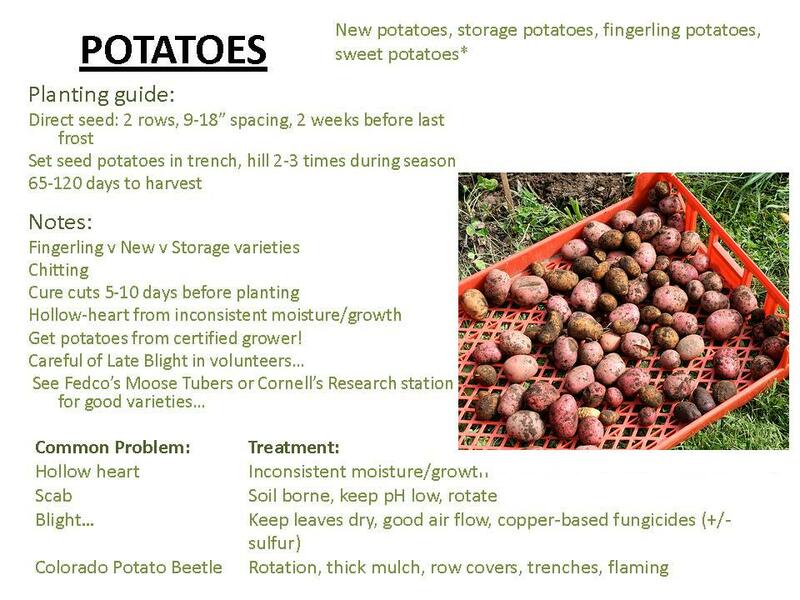 But while waiting for the snow to melt back in February, I enrolled in “Farming 101,” a four-week course being taught by Yale Farm manager and educator Daniel Macphee. It promised to be a primer on organic practices for windowsill gardeners and farmers alike. Like many classes, our first session began with introductions. It quickly became clear that we were a diverse group: there were nearly equal numbers of undergraduates, Forestry and Environmental Studies graduate students, and members of the community. We’d worked on farms, been in charge of soup kitchen programs, and taught farm outreach programs to schoolchildren – but there was also a sizable portion who’d just never gardened or farmed before and wanted to learn all about it. We got started with the basic ingredient of any gardener: dirt. All dirt is not made alike, we learned, and healthy soil can lead to healthier plants that don’t need modern fertilizers and herbicides. Dirt is also a major part of any sustainable operation — with a little bit of care, yanked-out plants and weeds make nutrient-rich compost to add back to your plant rows for the next round of seeding. Week two was about the design of a market garden, and how its layout and management can render conventional fertilizer and pesticides irrelevant. Raising the plant beds and choosing an effective draining system for your garden can help solve problems of soil erosion and water distribution. The most important guideline for organic farming, though, is awareness. Being aware of the sun, the moisture your garden receives, and the nutrients in its soil can help explain many plant ailments – think in “plant-positive” rather than “pest-negative” terms. Healthy soil and sufficient sunlight yield healthy plants; a stressed-out plant will be far more vulnerable to pests and disease. 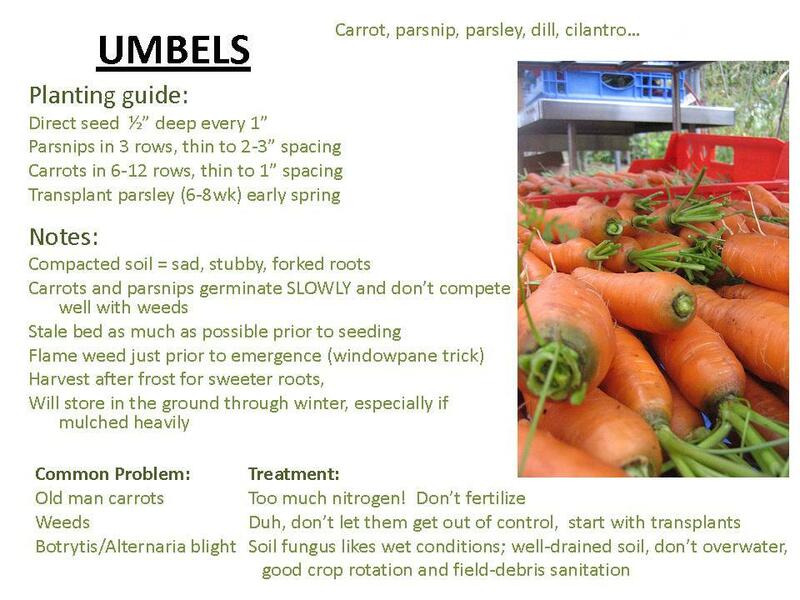 Now that we had a foundation for a garden – compost – and the know-how on designing a garden – let the land tell you what will work – we reached the most important lesson in week three, all about plant families, how to cultivate seeds appropriately, and what to do when disease or pests strike. 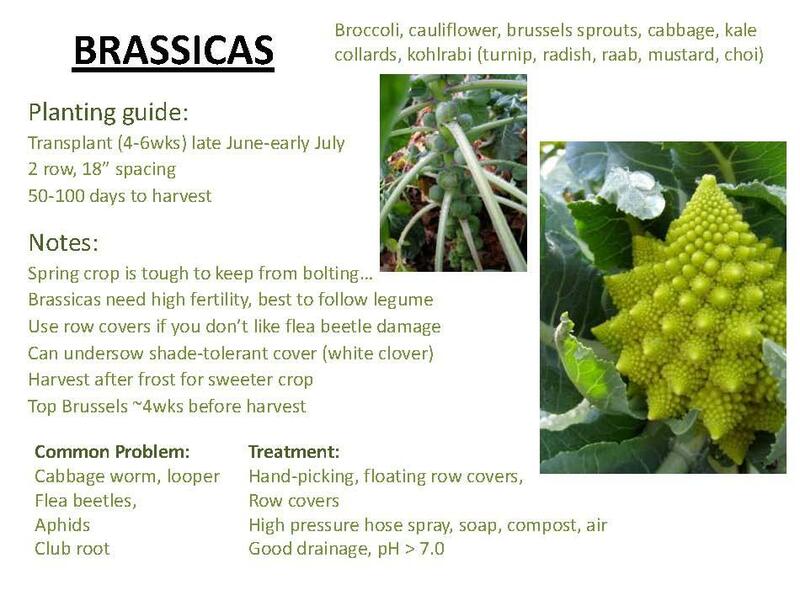 We learned several organic methods for pest management, beginning with simply tolerating minimal pest damage, moving onto water-permeable row covers like Reemay or creating a soil barrier from ground-living pests with mulch, and escalating to natural repellents like wood ash, milk spray, and hot pepper slurries that repel the creatures who want to eat our plants. And sometimes nature solves your problem on her own! As an example, the horned caterpillars that love to eat tomato plants are nothing to worry about if you see them covered in tiny white flecks, the eggs of the parasitic wasps that lay their eggs on the caterpillars, eventually (and organically!) killing them. 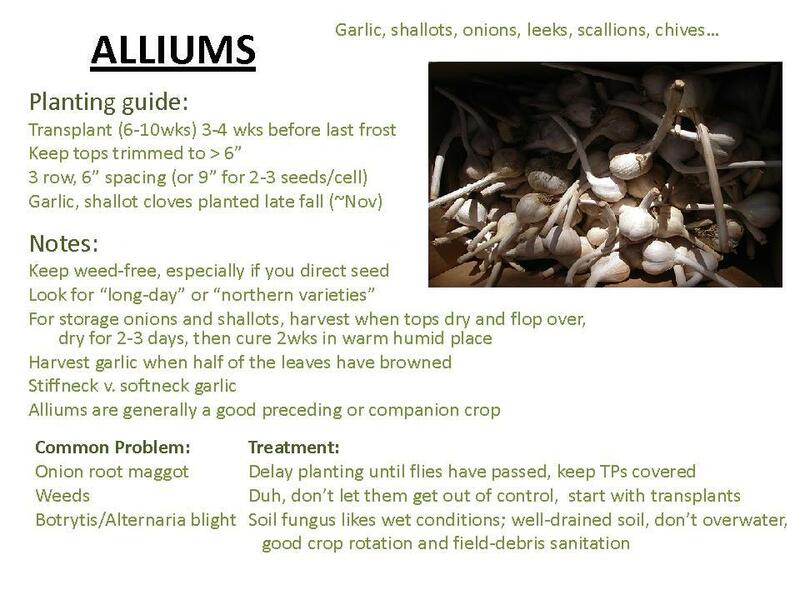 Seed planting has many techniques, as well. Planting seeds in soil blocks to transplant into the garden when they’ve sprouted and matured somewhat can give delicate plants a head-start on life, as well as improve the number of successful plants per bed area (you only plant the sprouts that are strong enough to keep living). 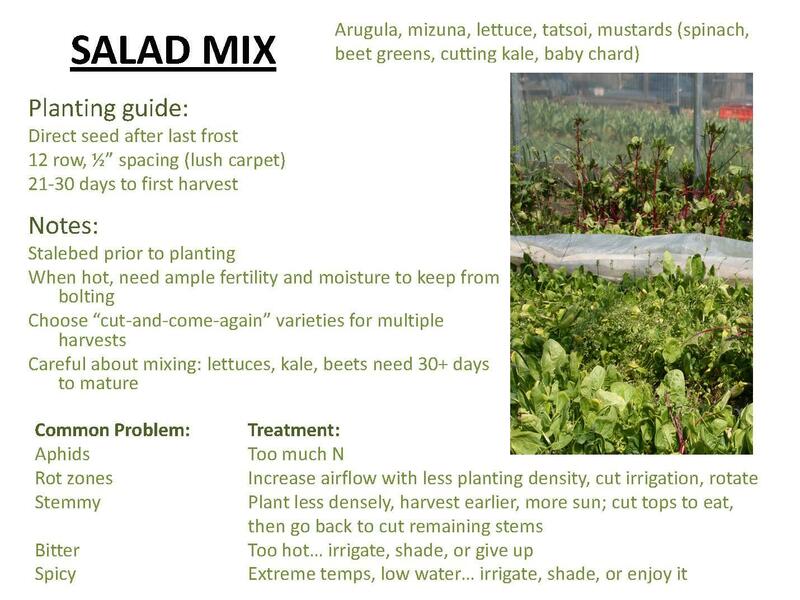 But many vegetables – such as beets, whose root systems are too delicate to transplant, and lettuce, which is planted too closely to make transplanting effective — must be seeded directly. Speaking of roots, did you know how deep they can burrow? 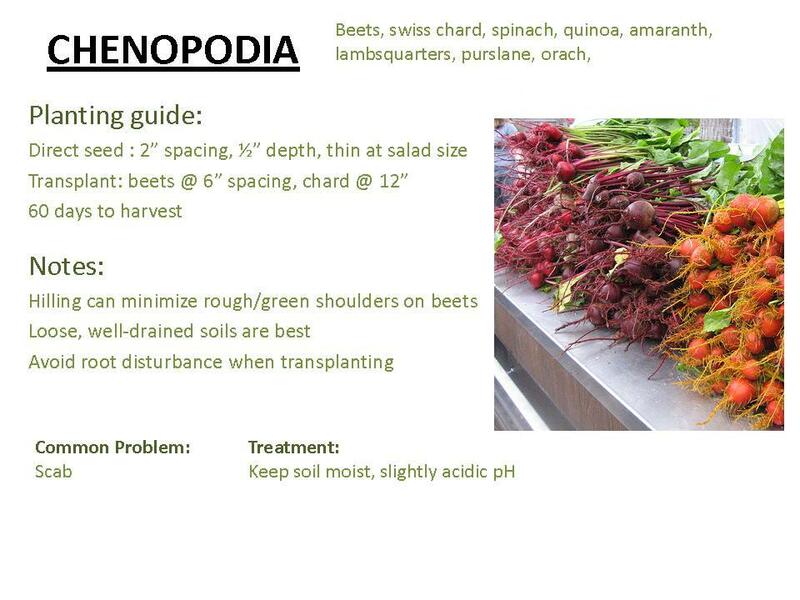 In the 3-4 months it takes a beet to fully mature, its root system will extend as far as 10 feet into the ground! 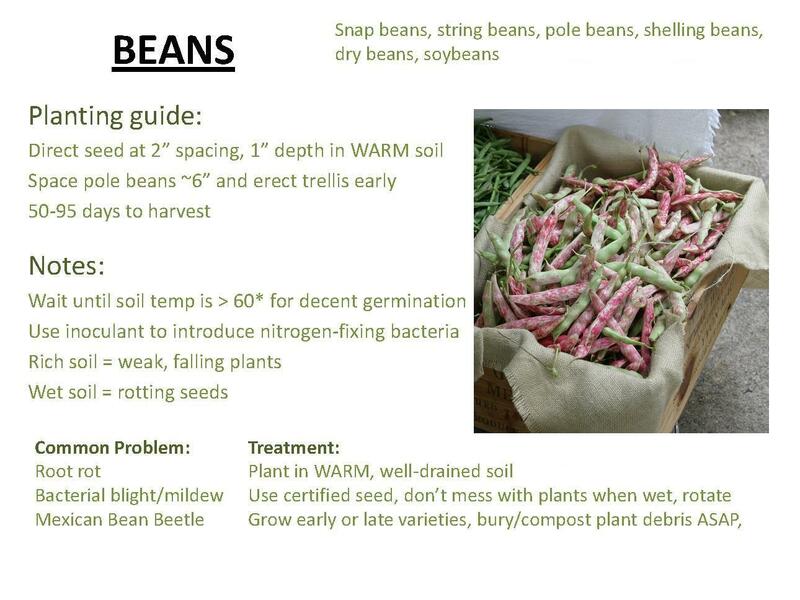 Crop rotation is a topic that we hear a lot about, but why is it important? The soil in a recently emptied bed has great structure and a lot of biological activity, as well as a lot of nitrogen that would positively affect the next crop planted there. Use it too fast and too often, however, and those same nutrients will deplete faster than they’re replenished, leading to nutrient-poor soil with less moisture. 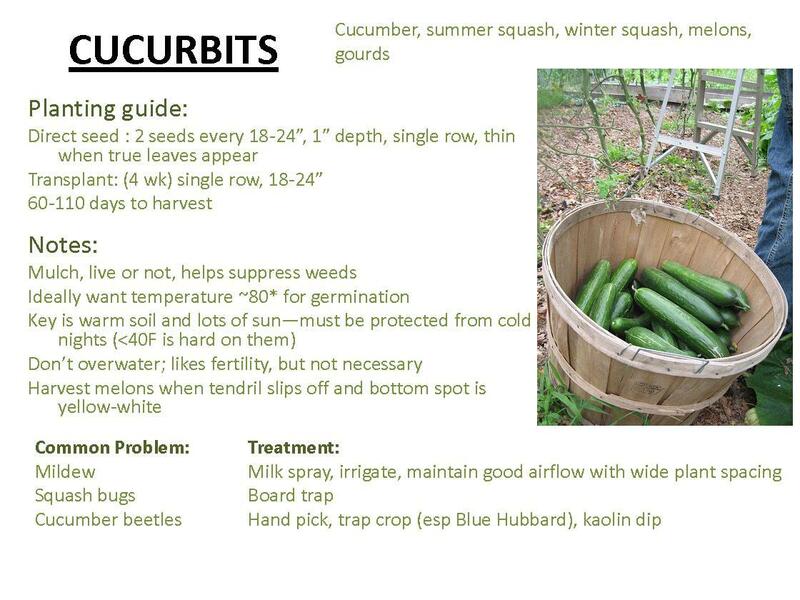 Crop rotation is the practice of leaving some part of a field or garden empty for a season, giving it a chance to rest and naturally replenish its bacterial flora and nutrients over time. Our final class focused on seed saving, an exciting and ages-old practice that’s re-emerged with the organic farming movement. The seeds from hybrid-variety conventional produce often can’t be planted: their genetic makeup becomes irregular in the second generation, and the seeds must be planted from the first generation anew. Heirloom plant varieties, however, can yield consistent results year after year – a great return on the initial investment of that package of seeds. It pays to be careful though, as many surprising plants can crossbreed – carrots, for example, can cross with the flowering weed Queen Anne’s Lace to make a plant that isn’t edible. That’s a lot of information! The class ended with us all slightly dazed at the amount we’d learned, but we left with a solid grounding in what it means to farm sustainably and organically, along with a list of resources to look to for specifics. The New Organic Grower: A master’s manual of tools and techniques for the home and market gardener, by Eliot Coleman. Chelsea Green, 1995. How to Grow More Vegetables: and fruits, nuts, berries, grains, and other crops than you ever thought possible on less land than you can imagine, by John Jeavons. Ten Speed Press, 2002. 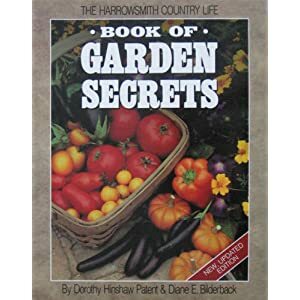 The Harrowsmith Country Life Book of Garden Secrets, by Dorothy Patent and Diane Bilderback. Camden House, 1991. You can also read about agricultural Practices at Yale Farm here: http://www.yale.edu/sustainablefood/farm_agricpractices.html. As the grass gets greener and the birds come back north, consider starting your own garden, even if it’s just in a flowerpot by a window. Good luck! ← Signs of Spring — Drink Your Milk! 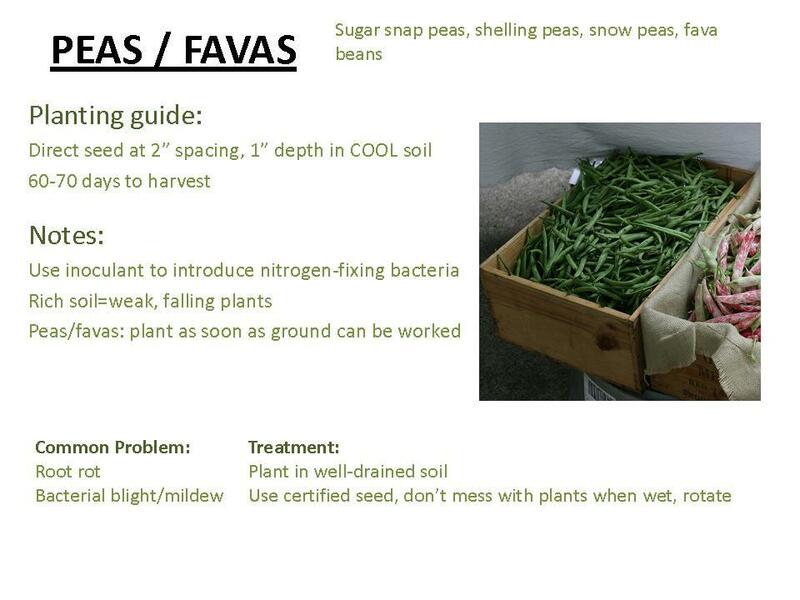 sounds like a fantastic course- hows your garden going since you’ve applied what you learnt? Smartly written. 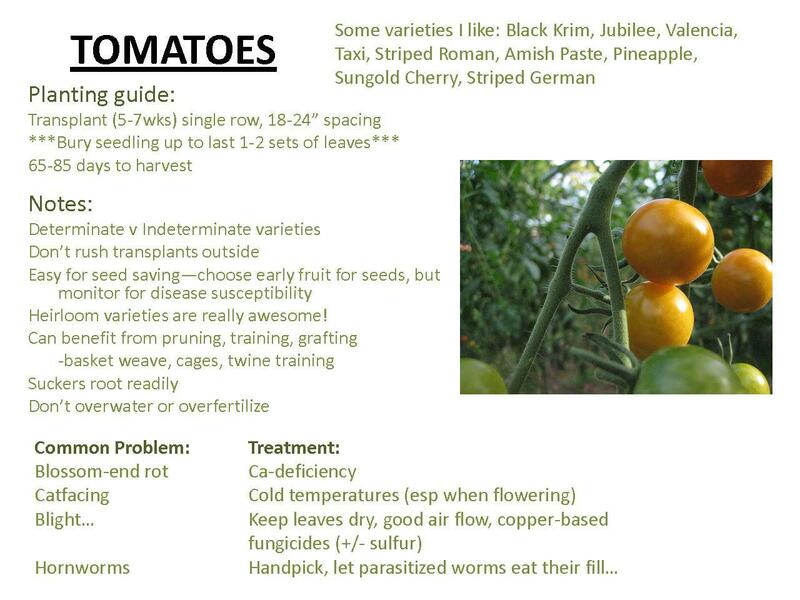 And thanks for including Johnny’s in your seed sources. Such a well-written and useful post- thank you!